Saia and I are pretty vocal about the fact that we dream of a big family. So while I am not pregnant right now, sometime in the next few years we definitely are hoping for a second baby. I had a tough pregnancy the first time around. I had a high-risk pregnancy due to complete placenta previa that necessitated a C-section at 37 weeks. 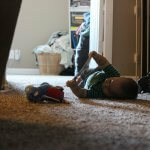 I had restrictions for the majority of my pregnancy–I could not so much as lift the trash or go on a walk. It was a tough pregnancy, and I was incredibly relieved when it was over, he was delivered and safe, and that troublesome placenta was gone for good. As we closed in on Gideon’s first birthday, and we started thinking about the possibility of a second baby in the next year or two, I realized that I had so much anxiety still tightly wrapped around my first pregnancy and birth experience. As an extrovert, I work through things by talking; I began talking about it to my friend, my Mom, and my hubby, . Talking through what my first pregnancy and birth was like and what I am hoping for my second time around. I dove head first into VBAC research: listening to podcasts, searching for books, reading birth stories, and memorizing facts. I want to be the most prepared VBAC-er that anyone has ever laid eyes upon. and praying that a second pregnancy is a walk in the park compared to the first one.I started reading anything I could find about traumatic pregnancy and birth experiences, and bit by bit I began chipping away at all the fears I had of going through pregnancy for a second time. I plan on doing a lot of things differently the second time around. Here is a list of just a few of them. We were so thrilled to find out little Baby L on the way, that we told our family a week and a half after we found out. It was so fun! But once we found out we had placenta previa I know that people were worried about me. I hated putting that extra burden on my family! I really have all my fingers and toes crossed that the second time around, the pregnancy will be simple, and straightforward (please Lord! ), but I am really hoping to rule out placenta previa before we tell everybody. I was group b positive with Gideon, which means that I had to have antibiotics when I had him. I really want to avoid that next time, because I am planning on having a VBAC, and don’t want any unnecessary antibiotics. I have been following the Wellness Mama’s supplement protocol to try to knock that infection (that is harmless for mama, but in very rare cases can cause complications for baby) out so that when I’m tested for this second pregnancy that I will be group b free, and won’t have to fight the system, because I am not sure I would want to accept the antibiotics anyway (after talking about all the risks with my nurse friend, and doing a lot of research). When I was pregnant with Gideon, I had heard so many good things about this one midwife. I knew personally no less than four moms that had all gone to her and loved her, so I didn’t even bother to interview her. But I ended up regretting having her as my midwife, she constantly fear mongered me, left me in tears every appointment, wrote down my incorrect blood type so they were confused at the C-section, gave me a shot I didn’t need because she entered the wrong blood type, constantly tried to convince me that Gideon was breech (even though the ultrasound always showed him head down, and I knew he was head down), and was just a terrible experience all the way around. I was hoping for a midwife who would be in my corner, nurturing, and supportive but I found her to be very medically-minded, and unhelpful. 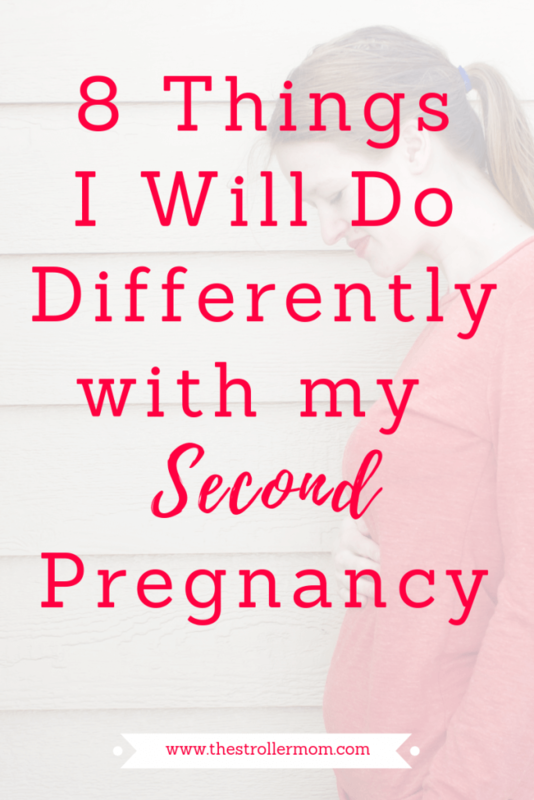 I am most definitely NOT going back to her, and I won’t go back to that practice at all-because the midwives are on rotation, and I know I would be so upset if she ended up having to deliver the second baby. I have already been asking other successful VBAC mamas who they’ve gone to, and I have a short list of VBAC-supportive midwives and OBGYNs in our state. I, also, have a very long list of questions (mostly relating to VBACs) that I plan on asking each of the providers before we decide who to choose. 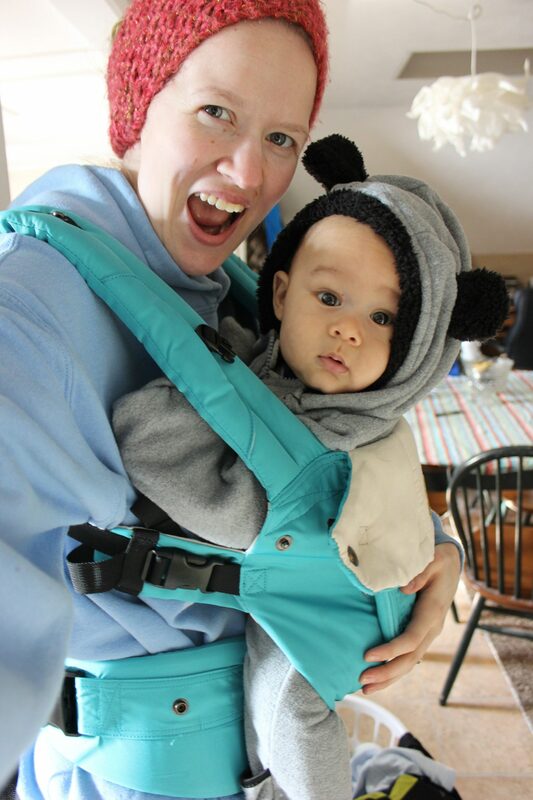 I was so overwhelmed by all the risk factors during my first pregnancy, that I let a lot of things go, but the next time I am pregnant I plan on being diligently (and fiercely) involved with every single detail of my prenatal care and birth. I will be the annoying patient that questions every single thing, because at the end of the day I am the one hiring my provider and hospital, and I can turn down anything I feel uncomfortable with. At the beginning of this summer, I still felt so weak. I hadn’t been exercising that much when I got pregnant with Gideon, then during my pregnancy I wasn’t allowed to exercise, and then I had a long recovery from my C-section. My main goal this past summer was to get healthy, and feel strong. I walked and jogged a couple hundred miles over the course of the past few months, took my supplements, lost five pounds, and worked on my diet. I have to say that I am feeling stronger and tougher than I have in a really long time!! For the past six months I have been diligently taking a whole-foods based prenatal, some fermented cod liver oil, and using magnesium oil. 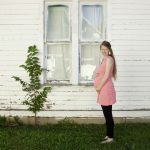 I’ve read so many anecdotal accounts from other mamas who believe that morning sickness is directly tied to magnesium deficiencies (Wellness Mama’s post, Raising Arrow’s post, and Mommypotamus’ post), and I am experimenting to see if I build up my magnesium stores before I become pregnant if I will see a difference in morning sickness. I was lucky not to have too much sickness with my pregnancy with Gideon, but I would love it if I had none at all! Using magnesium oil is best, because your body will take what it needs, rather than using the pill form–where you can easily be consuming too much magnesium. I always apply the magnesium oil at night–as an added benefit it helps you sleep more soundly, and also helps with restless leg syndrome if that is something with which you struggle. When I first started slathering on the magnesium oil every night, it really itched badly, but I read that was a sign that I was deficient. It took several months, but now I have absolutely no itching or burning when I apply the oil! I take that as a sign that I am finally at an optimal level with my magnesium. When I was researching birth classes during my first pregnancy, I just felt like it was a huge time and monetary commitment to make, and then when I found out we were going to have to have a C-section anyways, I stopped looking at birth classes. This next time around, I plan on going through a birth class with my husband. Since we are planning on a VBAC, we will be essentially starting over (since I’ve never experience a vaginal birth), and I want both of us to be as prepared as possible before we go into labor. We live over an hour from the nearest birth classes, and so I am planning on taking Mama Natural’s birth course with my hubby (and I am so excited that she has a section on VBACs), as well as reading books together, and watching The Business of Being Born. We went to California on our babymoon when I was almost in my third trimester, and it just wasn’t the right time to go. I felt super uncomfortable in the airplane (having to get up to use the restroom constantly), felt like I had to ask for a patdown at the airport because I didn’t want baby to be exposed to any excess radiation, and felt worried about being that far from my midwife/hospital if something went wrong. This time, I want to forego the babymoon completely, or–at the most–go on a day trip somewhere, but not an across-the-country-trip. 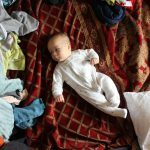 Everyone told me to not worry about the dishes or laundry, because those newborn days go so fast. And I did soak in every single moment. I held him nonstop for the first four months of his life. But even though I did do everything I could to enjoy every minute, it still went so fast! And there were times that I felt incredibly overwhelmed, exhausted, and desperate for sleep. It felt like I was never going to have a life outside our apartment or sleep longer than two hours again! With my second, I will have the perspective that I was lacking with my first. I now know that life will settle down eventually, that babies do sleep through the night at some point, and that the newborn phase really is gone in a blink of an eye. What do you want to change when you have your second child? Or, if you have more than one kid, what did you do differently with your second child? I love your list! Hah, except number 1 but that’s just cause I’d be so excited for you I’d want to know lol! Something I joke about but might seriously do if we have another baby is fib to the doctor about the date of my last period because I was majorly, majorly fear-pressured into inducing Travis because of my “due date” and (they said he had IUGR and had stopped growing and was in major danger – none of which ended up being true, thankfully) I regret letting them induce. I know they use the first ultrasound to also make a guess due date, so maybe I’ll opt out of that, too! I don’t know, but I really disliked getting induced (10% more painful, scary and the delivery was possibly traumatically fast for my body) and a lot of it had to do with the “due date” aka guess. Sorry this turned into a ramble lol Travis is trying to type also, but I will partner with you in prayer for an easy, breezy 2nd pregnancy and successful VBAC. I am so sorry you had that yucky induction experience!! I was just talking the other day with a friend about whether she should lie about her last period date or not. The thing is, if you have a longer than average cycle (hello breastfeeding) then your last period could really throw off the estimated due date. I definitely would tell the doc the period based on when I know conception occurred rather than just the last known period. Most people probably don’t know when they ovulated, but if you do then I see no reason why you’d have to base it off of your period. Thanks for the prayer, friend! I’m very interested in your VBAC research! Would love to read more in future posts or know about any sites/books you found particularly helpful! I too am hopeful for a VBAC! Absolutely! I will definitely write up a VBAC post. 🙂 I didn’t realize you had a c-section too! Why did you end up needing a section? Was she breech? It was an unplanned C-section. I had to be induced and for whatever reason it just wasn’t working well. I think there are probably multiple reasons and it’s hard to say exactly why, but the main reasons were after so many hours of labor Nora’s heart tones were dropping after contractions and then I had only progressed to like a 6? after 20 hours (my water broke and they only give you 24 hours to deliver). So it sucked, but my Dr. said I would be a good candidate for a VBAC. I had a doula, and she was surprised my Dr. did VBACs, so even though I liked her, I will definitely be asking her some questions. I think I will stay with a Dr. because midwives cannot deliver in the hospitals in KS and I am uncomfortable with a home birth, especially when doing a VBAC. I have heard great things about midwives though. I may hire the same doula I had however. I really liked her. Our Dr. said to wait at least 18 months before the second child. Have you heard anything else about spacing- especially when it comes to trying for a VBAC? I am SO sorry you had that tough birth experience. Going through twenty hours of a labor and THEN a c-section must have been incredibly grueling. You are a warrior, mama! That is awesome that your OBGYN is supportive of VBACs! The top consideration, I think, when planning a VBAC is finding a provider that won’t just say he (or she) will let you “try” but will actually be in your corner, and help you achieve a VBAC. That is so tough to find, so I’m glad you have one already! I have been researching providers in our area like crazy, trying to figure out the most supportive one. Our surgeon told us to wait twelve months before TTC, which we were careful to do. I honestly haven’t read any studies linking 12 months or 18 months to better outcomes. The only study I came across said that if you get pregnant in less than six months post-C-section that you have 1-2x the risk of uterine rupture (granted, your risk of uterine rupture after one c-section if you VBAC is only 0.4%, so getting pregnant less than six months later would only raise it to 1-2%). I think every doc has a different philosophy about spacing after a c-section.